A Cheerful Giver Grandma's Kitchen 34 oz. Papa Jar Candle with primitive black lid and homespun ribbon. 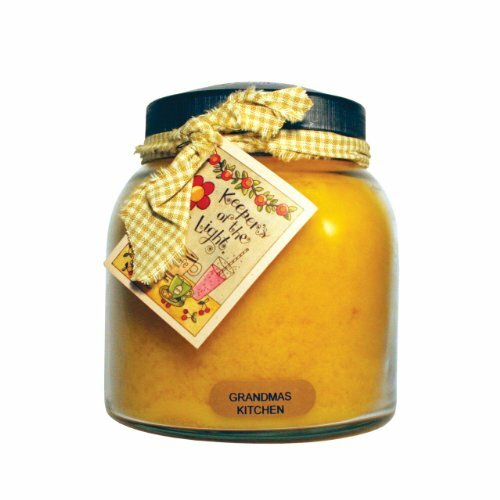 Fragrance consists of a scrumptious aroma of all of the home baked goods you will find in Grandma's Kitchen, warm apples, peaches and cinnamon. Holds 34 ounces. Burn time is 155 hours. If you have any questions about this product by A Cheerful Giver, contact us by completing and submitting the form below. If you are looking for a specif part number, please include it with your message.